Advancing innovations in health care delivery for low-income Americans. and their associated health effects by implementing trauma-informed approaches to care. Securing time and resources for staff wellness is an essential element to trauma-informed care, because supporting staff well-being helps them provide high quality care. 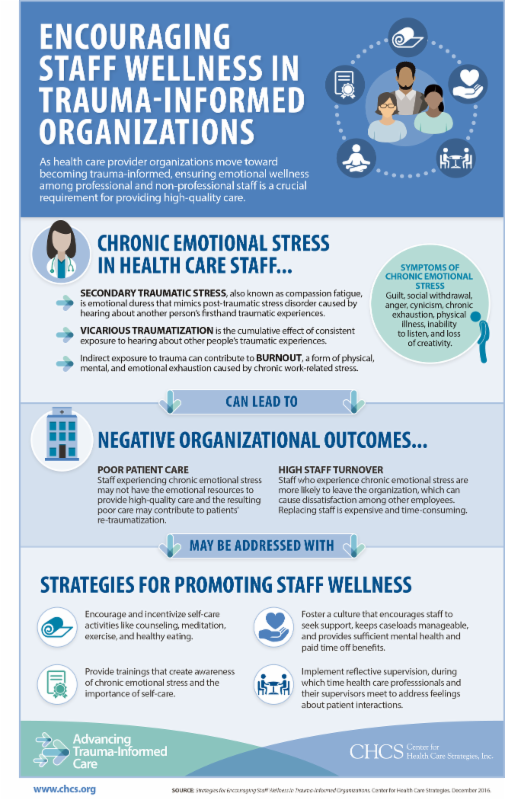 highlights the impact that chronic emotional stress can have on staff and shares strategies that organizations can use to promote staff wellness. Trauma-Informed Care, a national initiative supported by the Robert Wood Johnson Foundation and led by the Center for Health Care Strategies. The series focuses on practical strategies for fostering trauma-informed approaches to care. 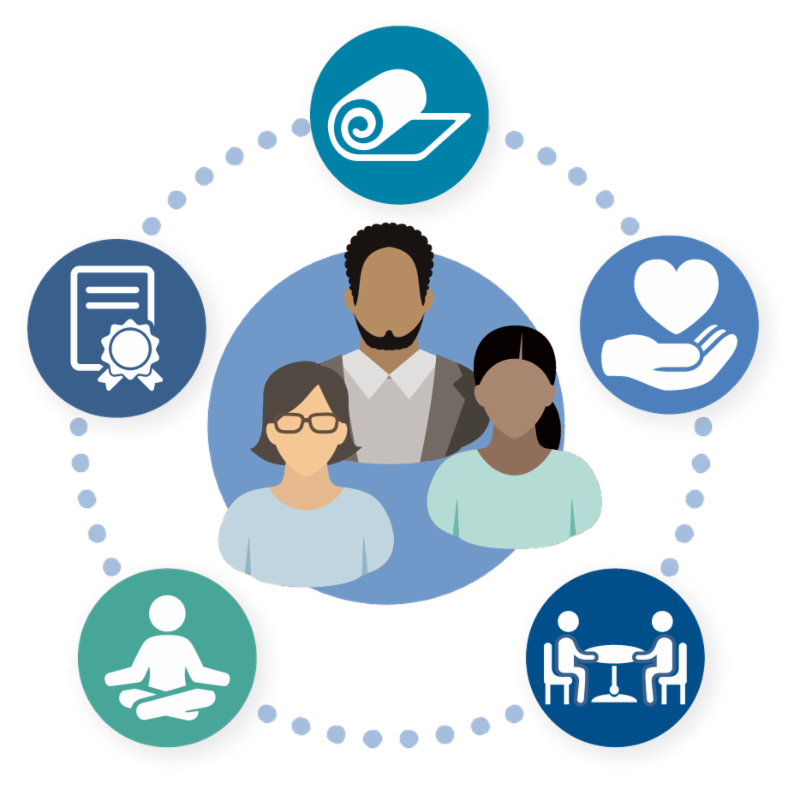 The Center for Health Care Strategies (CHCS) is a nonprofit policy center dedicated to advancing innovations in health care delivery for low-income Americans. CHCS works with state and federal agencies, health plans, providers, and consumer groups to design programs that better serve high-need and high-cost populations. Copyright © Center for Health Care Strategies, Inc., 2016. All Rights Reserved.